Ireland Wolfe has been writing professionally since 2009, contributing to Toonari Post, Africana Online and Winzer Insurance. She obtained her Bachelor of Arts in psychology and Master of Arts in mental health counseling. She is also a licensed mental health counselor, registered nutritionist and yoga teacher. Potassium citrate and potassium chloride are forms of the mineral potassium prepared in two different ways. Potassium is an essential mineral found in various foods. Your body uses potassium to help your heart, muscles, kidneys, nerves and digestive system work properly. As medications, potassium citrate and potassium chloride treat different conditions. Potassium is an electrolyte, which means that it disconnects into ions and can conduct electricity. The balance of potassium and sodium is critical for normal cell functioning. 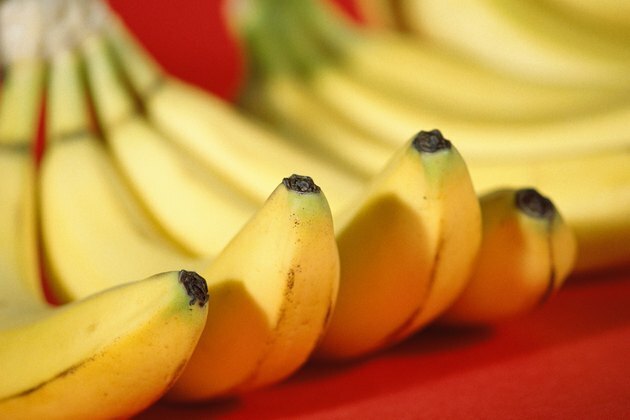 Too much or too little potassium can cause serious and life-threatening health problems. The Food and Nutrition Board of the Institute of Medicine recommends that adults consume 4,700 milligrams of potassium per day. Eating a diet with enough potassium can help prevent diseases and conditions, such as stroke, hypertension, osteoporosis and kidney stones, according to the Linus Pauling Institute. People with hyperkalemia, or too much potassium, should not take either potassium citrate or potassium chloride. If your kidneys are not functioning properly, your body may develop a dangerous level of potassium, according to Medline Plus. Hyperkalemia can cause nausea, slower pulse and cardiac arrest if the heartbeat gets too slow or stops. With medications or additives that contain potassium, you may need to adjust your diet. Some salt substitutes can be high in potassium. Potassium citrate is an alkalizing agent. It is used when your urine is too acidic. Your doctor may prescribe potassium citrate if you have a mild urinary tract infection, such as cystitis. Potassium chloride is a form of potassium for people who have low levels of potassium, also known as hypokalemia. Certain diseases or medications can cause potassium levels to drop to unsafe levels. A prolonged bout of vomiting or diarrhea can also cause hypokalemia. Consult your physician if you are taking potassium citrate or potassium chloride. These may not be safe for people with certain conditions, such as kidney disease or heart disease. Make sure your doctor knows about any other medications you are taking. Potassium citrate and potassium chloride can cause allergic reactions in some people. Potassium citrate is unlikely to cause any side effects other than an increase in urine. Potassium chloride can cause confusion, anxiety, uneven heartbeat, thirst, muscle weakness, nausea or numbness. Can You Take Potassium With Amlodipine Besylate?